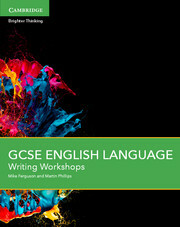 Approved for the AQA GCSE English Language 2015 specification, this print Student Book is designed for students targeting Grades 1 to 5 and above. Featuring a wide range of 19th-, 20th- and 21st-century texts, this resource has spelling, punctuation and grammar support integrated throughout. 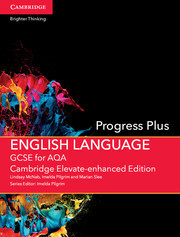 It also contains assessment tests and in-depth exam preparation, including two full practice papers. 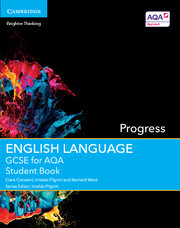 See also our Progress print and digital pack, which comprises a Progress print Student Book, a Writing Workshop print Student book, enhanced digital editions of each and free Teacher’s Resources. Spelling, punctuation and grammar are fully integrated throughout the resource. Features high-quality 19th-, 20th- and 21st-century texts across a range of genres, specifically selected to help students prepare for challenging unseen texts. 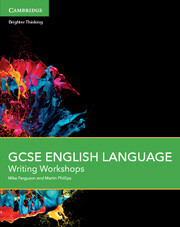 Dedicated support to help students develop the skills necessary to write about an unseen text in timed conditions. A spoken language section helps students develop their skills as speakers, presenters, listeners and responders. 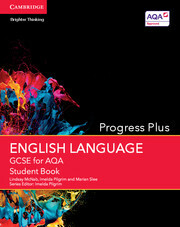 Assess your progress features within each unit and dedicated reading and writing progress tests draw on learnt skills and introduce students to exam requirements. Practice tasks, advice for marking linked with mark scheme descriptors, annotated responses and suggestions for revision prepare students for the AQA exams. 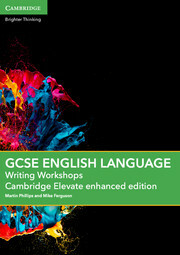 Clare is an experienced English teacher who has run an Outstanding English Department. She is Director of Teaching and Learning in a small London school where she has successfully trained two Outstanding teachers new to the profession, as well as more experienced ones. 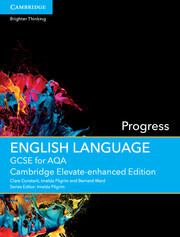 Clare has written a number of bestselling secondary English books over the last 18 years. Imelda taught English for many years before leaving to allow more time for examining, writing and providing workshops for teachers and students. She is a principal examiner and has written many best selling textbooks. Bernard has been teaching since 1989 and in 2000 became English Co-ordinator at a Pupil Referral Unit. He has been Literacy Co-ordinator in a special needs unit, a Behavioural Advisor, and Head of English. In 2011 he gave up teaching to concentrate on freelance work as a poet, philosopher and as an Educational Consultant. Bernard is Consultant PhD Supervisor for Napier University.